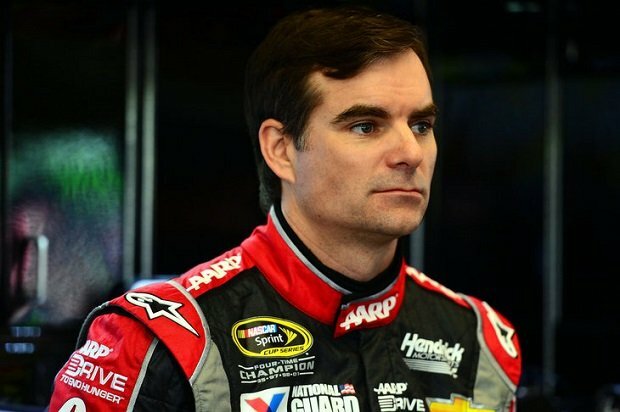 Jeff Gordon lead the final nine laps on his way to his first win of season Saturday night at the Five Hour Energy 400. Jeff Gordon grabbed the lead after Kevin Harvick pitted under green. Gordon needed to beat out Kevin Harvick in the end for his 89th career victory.This win should lock Gordon into Chase. This was Gordons first win since 2011 at Martinsville and became the ninth driver to have a win this season. Harvick who started on pole dominated for a good portion of the race. Patrick had a good night finishing up in the top 10,shed stayed in top 10 for most of the night even making a charge with a hundred laps remaning passing Jimmie Johnson at lap 163 for fifth aswell as Tony Stewart and Dale Earnhardt Jr for third,but in the end was pushed back to 11th on the final restart fighting back for a seventh place finish. Completing the top 5 Kasey Kahne finished third,followed by Joey Logano and Dale Earnhardt JR.
Justin Allgaier and David Gilliland were involved in a big collision on lap 186 that was started by driver AJ Allmendger. It all started when Allmendinger spun out and managed to clip Allgaier,whose car ended up shooting up across the track and slamming into Gilliland,Gillilands car ended up bursting into flames.Both drivers were uninjured.